3 Things this Week Reminds Us about Love. Be Known for Something : Discover Your Church Communication Thread / Communication Strategy / 3 Things this Week Reminds Us about Love. Valentines Day is this week. I must confess that I’m not a huge Valentines Day promoter. In fact, I’ve often thought it’s a day invented by the card industry to get us to buy cards and gifts. Way back in 2-300 AD, an early Christian (named Valentine) was martyred. And in 4-500 AD, a Pope named Feb 14, Valentines Day. Little is known about this early martyr, so the Catholic church removed the day from it’s religious calendar in the 1960’s. 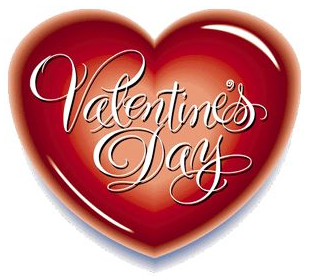 Today, the world celebrates it as a romantic day. The leap is basically a mystery as to why. How do you celebrate it? As a Church, we’re called to love. Not on 1 day, but everyday! As Church leadership, how do you love your group? Know who they are. Often, leadership becomes disconnected to the people in the pew. Perhaps the problems of the church become the focus. Do you know the people you serve? Really know them? I’m amazed that the average person lacks the ability to ask personal questions. It’s called caring. And I’ve found that with the right attitude and the right questions, people open up. Listen to them. Have you ever shared with someone something from really deep in your psyche and the other person doesn’t barely acknowledge it? Or if they do, they don’t respond with love? We need to learn to slow down to love. Take a deep breath. The person you’re spending time with is as important as the next thing on your calendar. Listen. Really listen. Demonstrate true love. As the 5 Love Languages (Gary Chapman) states so well, everyone feels loved differently. As leaders, we need to identify the best way to love our congregations. Or small group. What I find often, leaders don’t really “love”. They manage and direct. Stop and… love. As Christ loved the Church. This is a great week to start. Happy Love Week. If we truly loved properly as Christians, we would be a better path for Christ to love the world. And our world would be a different place. Love on!